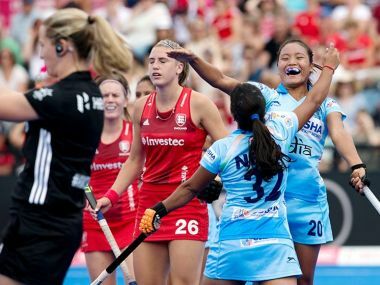 It was in the 1998 Utrecht World Cup that Sita Gusain Mehta realised while playing under Colonel Balbir Singh Kular that a strong midfield is essential in modern hockey; a group of players who could ease into attack and also fall back into defence. Those lessons proved invaluable when India won the 2002 Commonwealth Games Gold. Sita was a member of that famous team. Here she talks about those days, how hockey has changed and whether the present team can create something magical at the London World Cup. India had a bunch of players who could fire from the hip, but after some initial bursts they chose to switch off the safety lock and play a highly defensive game. India are grouped in Pool B along side Olympic champions England, World No 7 USA and Ireland in the women's hockey World Cup. Forward Rani Rampal was on Friday named as the captain of India's 18-member squad for the women's hockey World Cup to be played in London next month.